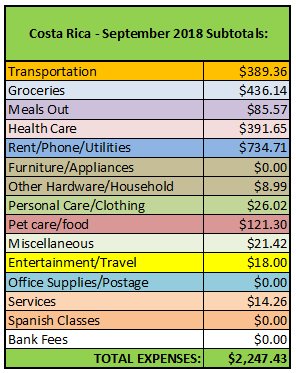 It’s been a couple of months since we published our Costa Rica Cost of Living breakdown. Since we spent the months of October and November in Oaxaca, Mexico, there were no Costa Rica expenses for those months. 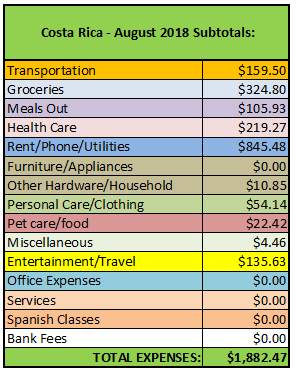 We arrived back home on December 1st so this is our spending for the full month ($4,187.55). It’s a bit of a mind-blower for us as we had some medical expenses which we will tell you about in the Healthcare section. To put things into perspective, the total cost of this extra expense came to $2159.41. Subtracting that from our actual spending for the month of December, the balance would have been $2,028.14, which is a normal amount for us for the month. Our expenses for gasoline, parking, and tolls were low, totaling $76.52. We had zero expense for public transportation in December. But we did have one big expense in the transportation category. December is the month when everyone who owns a car must pay the Marchamo. The Marchamo is a combination of yearly registration, taxes, and mandatory basic liability insurance. For our 1996 Toyota 4-Runner, our cost was $180.64 (107,159 colones), a 12% decrease over last year. 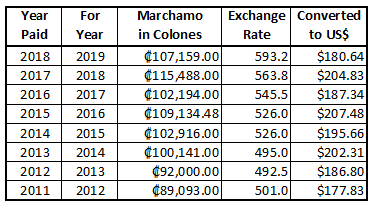 You can see our annual Marchamo costs in the graphic below. This was our highest spending month ever for groceries. There are three reasons for the jump in spending. Probably the biggest reason is that we needed to restock after being out of the country for two months. Part of that restocking was reason number two, a trip to PriceSmart. It seems when go, we can never leave without spending at least $100 on groceries. I noticed on our December visit that prices of several of our normal items had increased dramatically. Specifically, I noticed that price for the block feta cheese we buy had gone up about 40%. 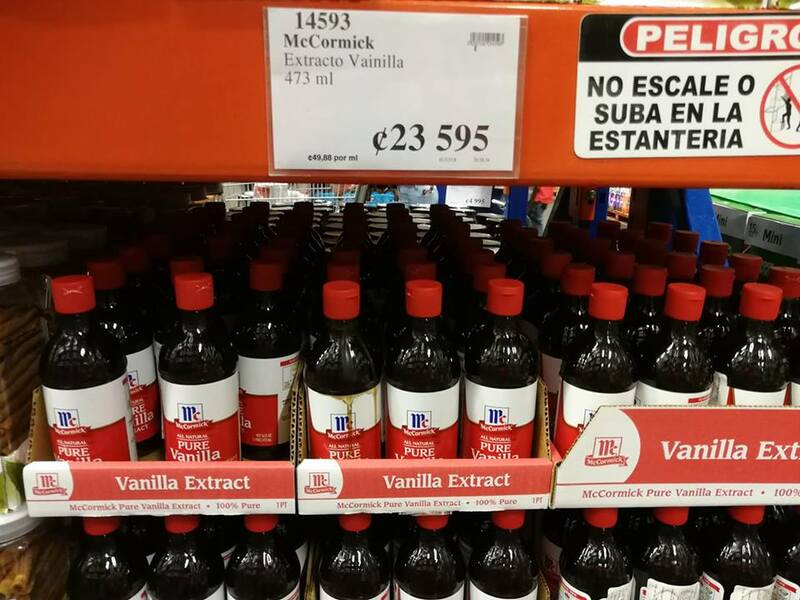 Another item with a huge price increase was the 16 ounce bottle of McCormick Pure Vanilla Extract which I chose NOT to buy at the price of about $40 USD (23,595 colones). This is one item you probably want to “mule in” from the States or Canada. The third reason for the excess spending in December was, of course, Christmas. Though we spent a quiet holiday at home this year, I did do some of my traditional baking. To be honest, only $507.45 of our grocery total (82%) was for food. The other 18% ($113.45) was for non-food items which included household products, paper products, and personal care products. For $84.30, we were able to eat breakfast out once (after Paul’s early morning blood tests), lunch out three times, and dinner out twice. We tend to choose casual restaurants, not fancy ones, except for maybe on special occasions. In general, eating out is more expensive in Costa Rica than it is when we are in Mexico. I will admit that when we are in Mexico, we eat out much more often. 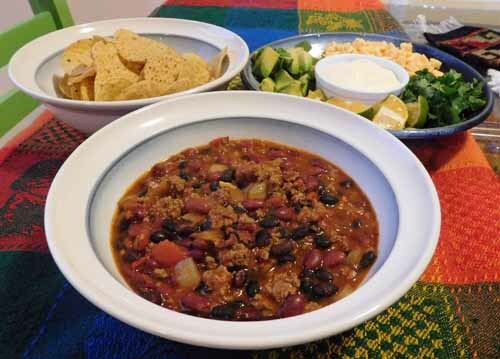 But when we are home, my tendency is to cook meals most days in my own kitchen where I can control the ingredients and add lots more vegetables to our menu. This is the WOW category of the month. If you read our newsletter last month, you know that we opted to pay out-of-pocket to get a PET/CT for Paul. I won’t go over all the details but we were concerned that the results of his kidney biopsy weren’t ready and also that the cancer may have spread. 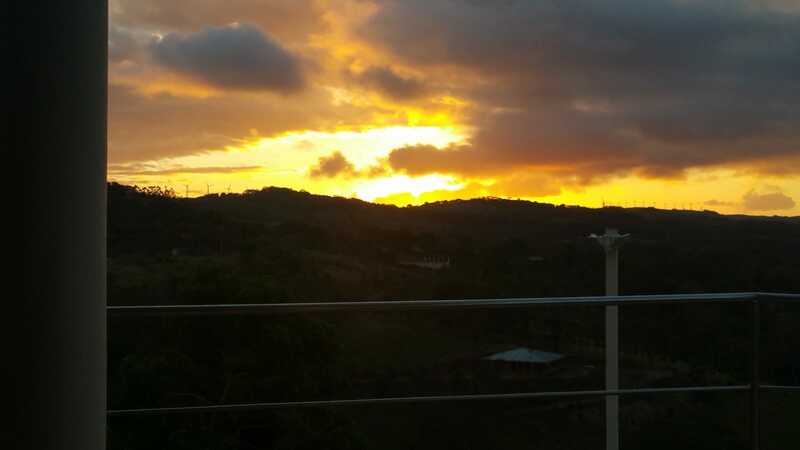 While we were still in Mexico, I did some online research and learned that the only PET scan machine in Central America was located right here in San Jose, Costa Rica, about an hour from our home. The regular cost of the PET/CT was $2,500 but when we asked about discounts (NOTE: always ask about discounts!) we were offered a 15% Senior Citizen discount, so the scan ended up costing us $2,125 instead of $2,500. (Note: The self-pay cost for a PET scan in the U.S. appears to be about $6,000 and would only be available with a doctor’s referral.) The morning of the procedure, Paul first needed some bloodwork done. 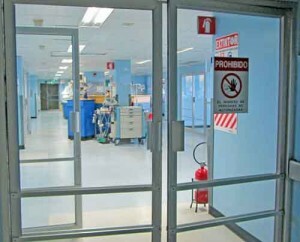 We had it done at Laboratorio Paez in Grecia, at a discount through our MediSmart plan. 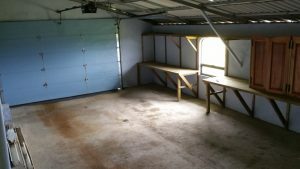 Total cost for the labs was 20,500 colones ($34.41 USD). We also renewed our MediSmart membership in December, this time adding their “OncoSmart” coverage. OncoSmart is their “plan for the prevention, early diagnosis and treatment of cancer.” It is an add-on to the MediSmart Plan, offering oncology consultations for people who have a history of family cancer, for cancer patients and survivors. 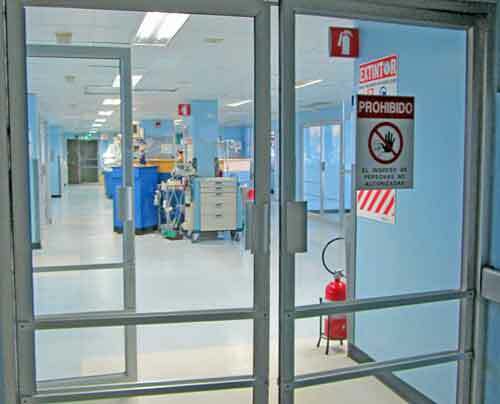 It includes an annual oncological preventive check (at an 80% discount) and discounted prices for oncology services at Hospital Metropolitano’s Cancer Center (located in San Jose) ranging from 50% to 70% less than the regular fees. The cost of the plan is an additional $2 per person added to the monthly MediSmart plan fee. For us, it was a no-brainer. Though we pay for the entire year in advance (in order to get the lowest price), we show the expense on a monthly basis, pro-rated over 12 months. Our monthly MediSmart fee is, therefore, $16.39. In addition to our regular Caja payment and the cost of supplements, we also both had massages on the afternoon of New Year’s Eve. It was a great way to close out a difficult year for us. The cost each was 12,000 colones for deep tissue massage and a bit of chiropractic adjustment. Total cost in US dollars for both of us was $40.40 (24,000 colones). To put things into perspective, the total cost of the PET/CT and necessary blood tests came to $2159.41. 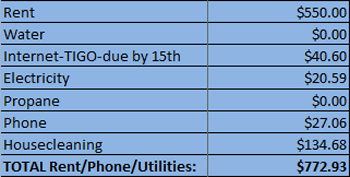 Subtracting that from our total healthcare expenses for the month of December, the balance is $165.49, a much more “normal” expenditure for healthcare. The cost for electricity was about half what we normally pay per month. The reason is that we were in Mexico during this billing period and our friend who was living in our house the previous month used less electricity than Paul and I use. The one expense that was higher than normal was housecleaning. 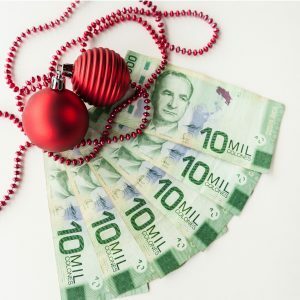 As you may know, employees in Costa Rica get a 13th month Christmas bonus called the aguinaldo. Basically, the aguinaldo is an additional month of wages that employers are required by law to pay between December 1st and the 20th. The amount due is calculated by adding the total wages for the year (December 1st of the previous year through November 30th of the current year) and then dividing by 12. Our housekeeper’s aguinaldo came to $67.34 (40,000 colones). Our total cost for housekeeping for the month was $134.68, which includes her aguinaldo and payment for cleaning our house four times for four hours each time. Though we were in Mexico for two months last year, our housekeeper still cleaned our apartment each week for our friend who was living here. For that reason, we included that period when calculating her aguinaldo for the year. I had my hair done (cut and color) in December (10,000 colones) and Paul got his hair cut as well (2,500 colones). We each gave our stylist a 5,000 colones “tip” for a Christmas bonus. Tipping isn’t common here but Paul and I make sure we tip all of our regular service people at holiday time and their birthdays. Also falling in this category are the seven pairs of earrings I bought from a local expat who brought back hundreds of pairs from her recent trip to India. Since we were stocked with kitty litter, our only expense was for cat food and treats for Tori and Laura. 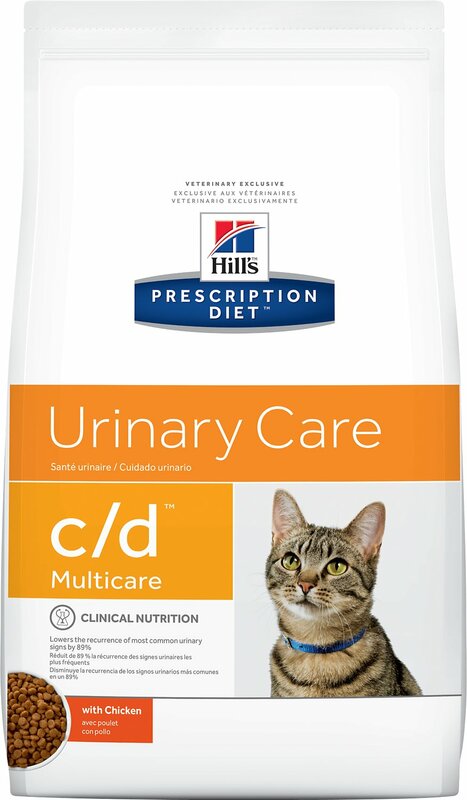 We upgraded to Science Diet’s Urinary Care formula several months back on the advice of our vet. Cost was $23.99 for a 4 pound bag. September was another quiet month for us as we recovered from our two month trip to Mexico. We watched a lot of Netflix ($11.65 for our monthly subscription) and Paul read the Baltimore Sun online ($2 for his monthly subscription). A quick note about Netflix — though we subscribed to Netflix while in the States, while in Latin America we only have access to Netflix out of Mexico. Not all of the programming available in the States is available in Costa Rica or Mexico. It used to be that we could access U.S. Netflix with a VPN connection but after continued problems with the VPN, we discontinued it and just watch Mexican Netflix. It’s more than enough for us as we are extremely out of touch with current movies and television coming from the States since we have lived in Costa Rica for the last 10 years. Generally, services in Costa Rica are inexpensive. In December, we had six shirts and a pair of pants ironed for Paul on two occasions at a total cost of 8,000 colones (2 times $6.73, or a total of $13.47 ). To celebrate, we attended one of the several free showings of the award-winning documentary film, A Bold Peace, which was released in 2016. The film was produced in honor of Oscar Arias, former president of Costa Rica and Noble Peace Laureate who is featured in the film. Watching the film made me proud to live in Costa Rica, especially to live in San Ramon de Alajuela, the birthplace of former President José Figueres Ferrer who abolished the military. 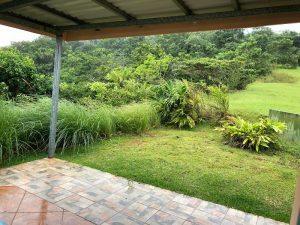 Costa Rica has its problems, it isn’t “paradise” as some have described it, but this is one of the many things we think the country is doing right. 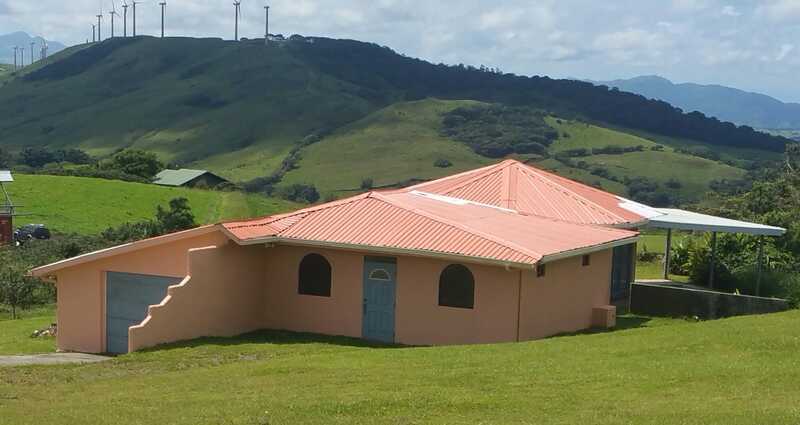 This well built designer home is on a 9/10 acre lot with beautiful views of the Pacific lowlands and the Pacific Ocean as well as Lake Arenal and Volcanoes Arenal and Tenorio. 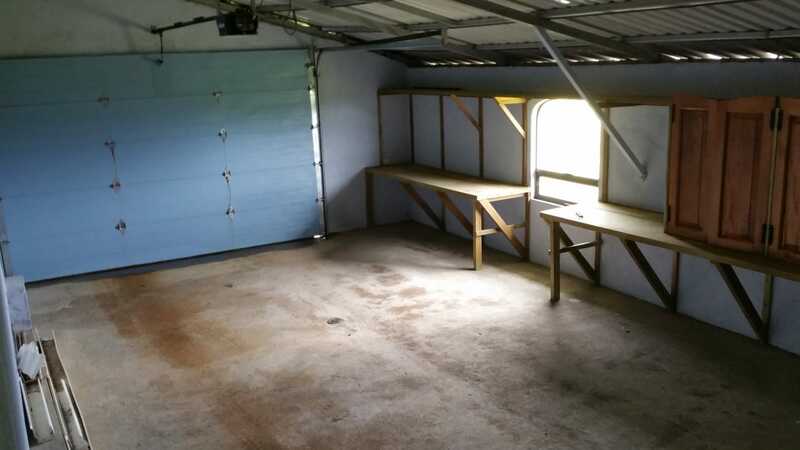 It has four bedrooms and two bathrooms plus a large attached garage. The front porch has a splash pool and is protected from the wind and rain. 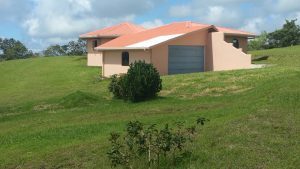 The house is located off the main Route 142 on a paved road and is only 20 minutes from Tilarán which is the largest town (pop. 20,000 people) and the Municipality for all towns surrounding Lake Arenal. All necessary services are in Tilarán. 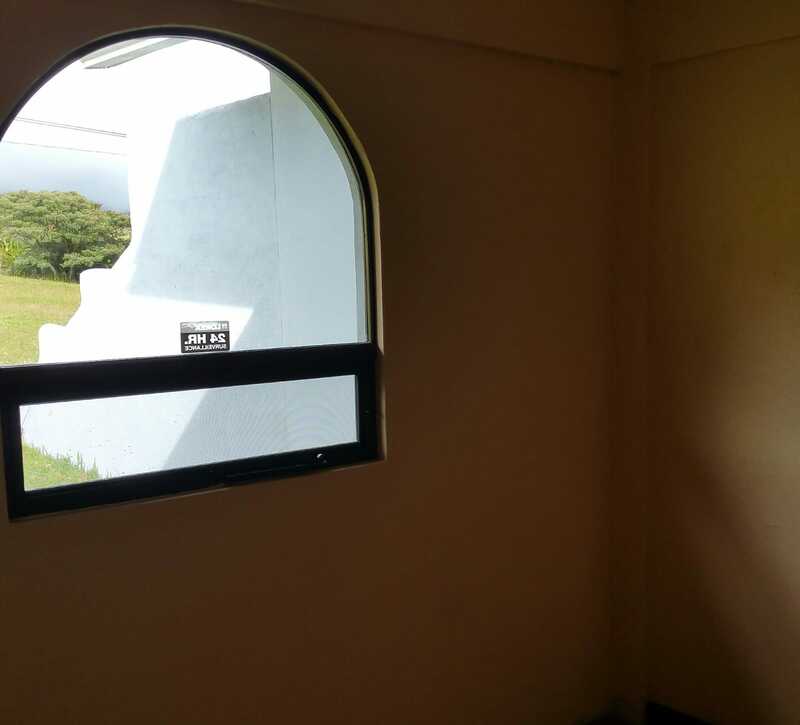 The location is excellent as it is only a 1 hour, 15 minute drive to Liberia, the capital city of Guanacaste Province (“The Texas of Costa Rica”), which has stores and services now catering to the influx of residents on the Northern Nicoya Peninsula, Pacific Beaches. 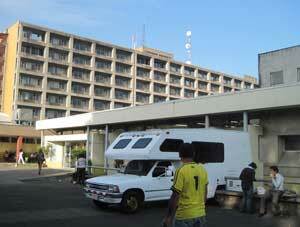 From Liberia it is only a 10 minute drive to the Liberia Airport and another 20 minutes to Pacific Beaches. You can go to the beach from here for the day or overnight and still enjoy the 70F. Year round cooler climate, and escape the heat of the Pacific zone. You will have the best of both worlds. No need for a/c or heat here with our healthy climate. The water here is some of the best in the country and the air is clean and pure due to the excess of protected forests in this northern zone. The Lake Arenal area is green year round and you will enjoy having gardens of orchids, tropical flowers, your own fruit trees, and vegetable gardens if you wish. 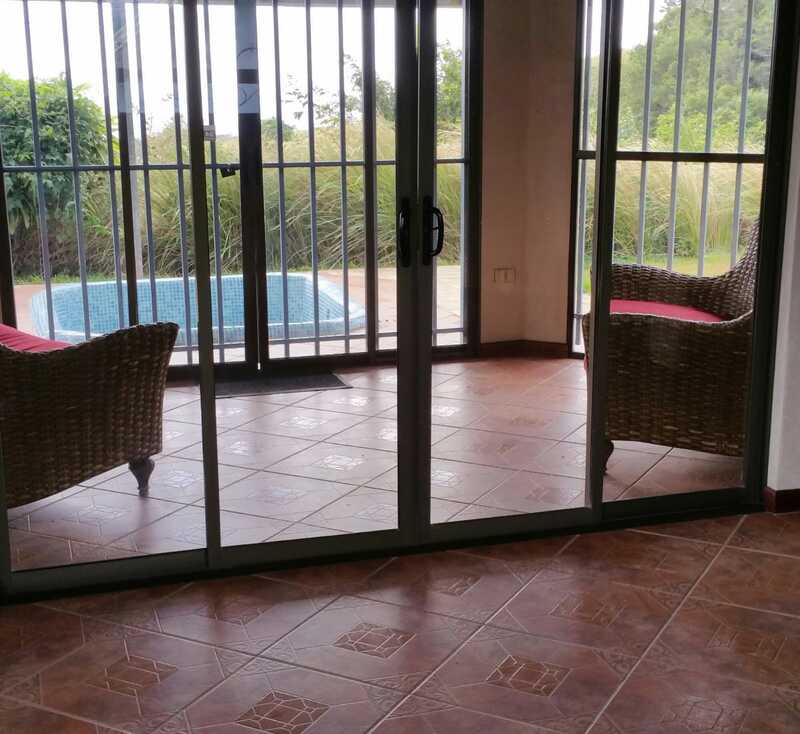 Birds abound so you can enjoy the colorful tropical birds, including toucans, parrots, hawks and smaller birds while sipping coffee or wine on your front porch. It is truly a paradise for the senses. 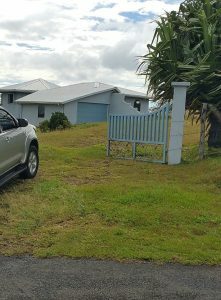 Click here for more photos and to contact the owner of this property. Though we recommend you rent, rent, rent when you move to Costa Rica, we realize that some folks will still choose to buy, either early on or after they’ve been here for a while. We recommend purchasing properties under $150,000 because they are both easier to buy and easier to sell. Though we are not realtors, we work with trusted realtors who have many other properties in this price range available. The homes we feature are just a sample of the properties the realtors we work with have, both above and below $150,000. Click here to check out our other properties under $150,000 and read about what to do before you buy. PRINT & KINDLE VERSIONS AVAILABLE! 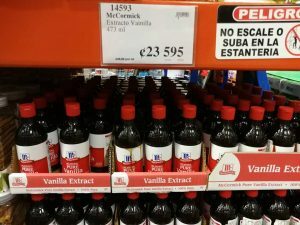 When you move to a Spanish-speaking country, it can be daunting to stock your kitchen and cook meals when you don’t know what your ingredients are called in Spanish. And even when you know the Spanish translation, it can be a challenge at times to find what you are looking for. A little bit about me, our life in Costa Rica, how and where we shop for groceries, what we spend, and some insights about grocery shopping in Costa Rica. An English-to-Spanish and Spanish-to-English food dictionary in alphabetical order. An English-to-Spanish and Spanish-to-English dictionary of things you find in the kitchen. A Glossary of cooking terms and helpful adjectives to use when buying and cooking food, ordering in a restaurant, and reading recipes in Spanish. Recipe substitutions for when you can’t find familiar ingredients here in Costa Rica. 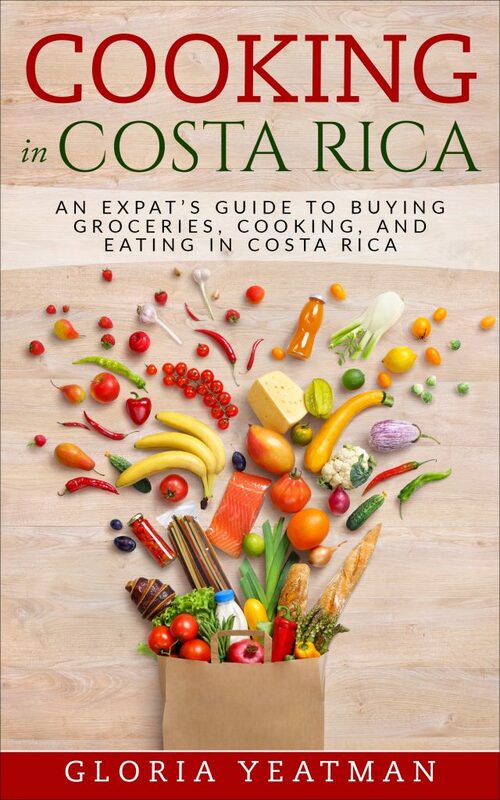 Recipes which I have adapted to use with ingredients found in Costa Rica, plus some favorite recipes of other expat cooks in Costa Rica. A U.S. Measure to Metric Conversion Guide for temperature, volume, weight, and length. A resource section with links to expat cooking blogs, Facebook groups and pages, specialty products, and other food-related things. If you don’t have a Kindle, you can download the Kindle app for your iPad or computer at this link. I hope you enjoy my book and find it useful! 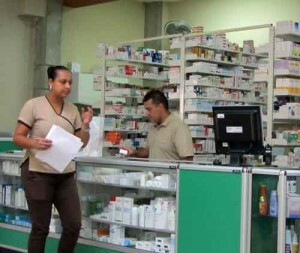 We’ve lived in Costa Rica for almost 10 years and have used the Caja, Costa Rica’s public healthcare system extensively, as well as the private system when needed. We’ve learned the system and have been referred up the ladder to see specialists in the maze that is the Caja system. 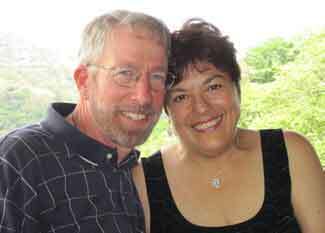 Gloria’s had out-patient surgery through the Caja and Paul was in a Caja hospital for 14 days to have his kidney removed after a cancer diagnosis. 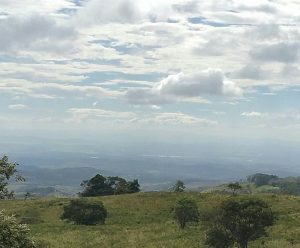 Our blend of personal insights and on-the-ground experience combines to answer your questions about whether or not Costa Rica’s healthcare system could meet your individual needs. If you are planning a trip and would like to take our tour, please contact us a.s.a.p. and we will do our best to accommodate your schedule. We also do customized healthcare tours which focus on your specific priorities and health concerns, though the fee may be higher, depending on the amount of research we need to do. Contact us for more info. But, while it is focused on healthcare, you will learn a lot more about living and retiring in Costa Rica’s Central Valley. Most of the second day of the tour takes place in the town of San Ramón where we live and use the services. And you will come to our home that day to listen to two presentations. Our tour is designed to save you both time and money, packing a lot of information into a short period of time. Our goal is to show you the possibilities and to try to demystify Costa Rica’s healthcare system. Our tour lasts two days and 1 night and includes lodging, transportation, meals and non-alcoholic beverages. CPI language school for a presentation about how learning Spanish increases your options for healthcare and some basic medical Spanish. A local feria (farmer’s market) where you will see the abundance of fresh food available. The local Cruz Roja (Red Cross) to learn about their services and programs. A health food store (macrobiotica), and more! 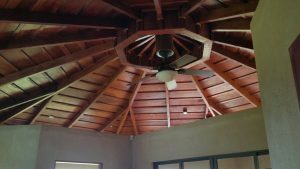 If the Costa Rican healthcare system could meet your needs and put your mind to rest, once and for all, about this sensitive subject. About the public system and how it works, about the private healthcare system, and how you can use a combination of both to your advantage. About the EBAIS – where healthcare starts in Costa Rica. Approximately how much you would pay for Caja. 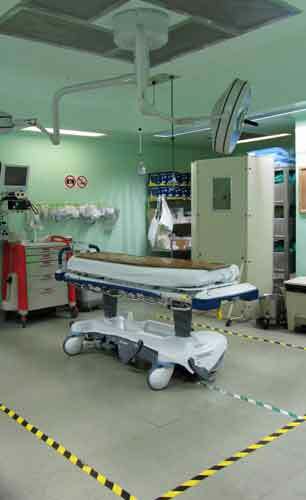 About medical tourism in Costa Rica. 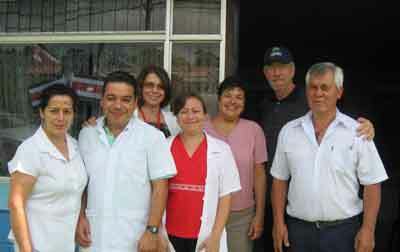 About home health care in Costa Rica. Prices: $650 for a couple, $550 for a single. Please contact us if you are interested in booking a tour. Space is limited. If you have been reading our website for a while, you know that we have been traveling to Oaxaca, Mexico, for the past six years during part of Costa Rica’s rainy season. Paul went to University in Mexico and the country and it’s culture has always been an interest of his. I have come to love it as well. Spending several months in Oaxaca each year has given us the best of both worlds — the beauty, tranquility, and kind people of Costa Rica and the culture, arts, and great food of Mexico. You can now follow us on Facebook and Twitter, so please “like” us on Facebook, “follow” us on Twitter, and watch and share our videos on YouTube. What Are the Economies With the Most (and Least) Efficient Health Care?